Eggs with two yolks are considered lucky as they are meant to bring good fortune! Which is quite fitting given the hunt is officially on for the Double Yolker in limited edition packets of HARIBO Starmix. Keep your eyes peeled as you have the chance to win a UK family holiday. How eggciting is that! I would love to have a Forest Holiday. They come highly recommended by lots of people and we have yet to try one ourselves. There are a total of 20 holidays to be won but you don’t have long to get involved. The campaign runs until the 21st of April. But you do have Easter in that time period so perhaps give the kids a few packets for their Easter gift to improve your chances of winning! I am a comper at heart, so I am thrilled to get involved. I love the element of surprise. It’s like looking for the Golden Ticket in Wonka Bars. It’s going to be so wonderful for the twenty lucky families that get to go on holiday. The boys usually eat packets of Starmix in the cinema where it’s quite dark. But we won’t be taking any chances until the promotion is over. I would hate for us to eat up the proof and not realize we had a lucky packet. Although the winning packets do also have a prize voucher with a unique number on them! Phew, everyone should be able to spot that. 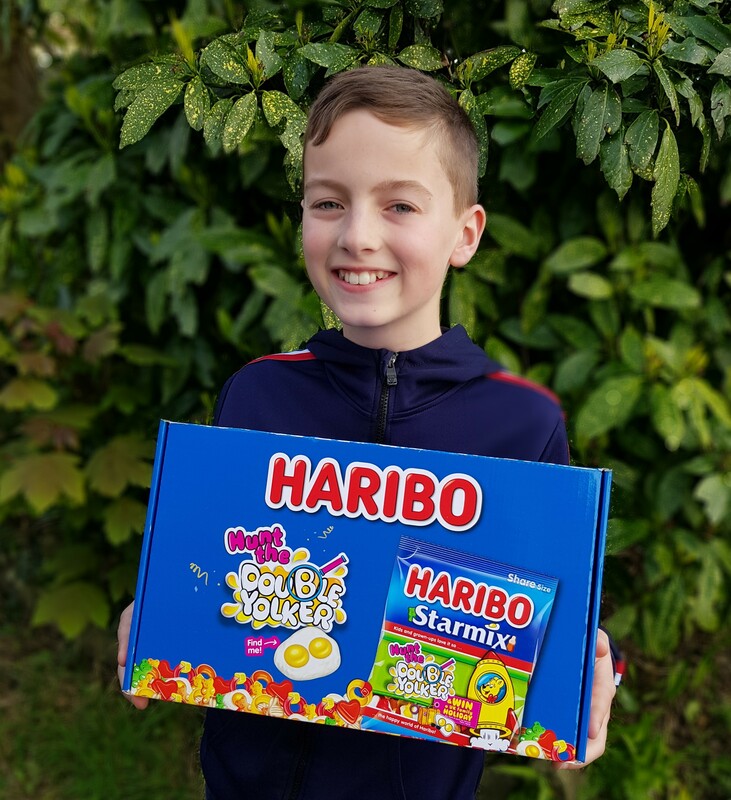 Just make sure if you find one of the Double Yolker packs that you contact HARIBO by the 31st May 2019. I am giving away a HARIBO goody box on my blog and you can then try your luck and see if you have a winning packet! Either way you can enjoy eating the tasty sweets. The competition will close on the 22nd of April as I want to make sure you have plenty of time to receive your prize in case you manage to get a lucky packet! Don’t forget to see what other competitions I have running!